Costco is selling a „wedding cake“ that consists of roughly 24 pounds of cheese. The warehouse chain is selling a cheese „wedding cake“ online for $439.99. The item, called „Sid Wainer & Son Cheese Lover Artisan Wedding Cake“ includes roughly 24 pounds of artisan cheeses, enough to feed an estimated 105 to 150 people. 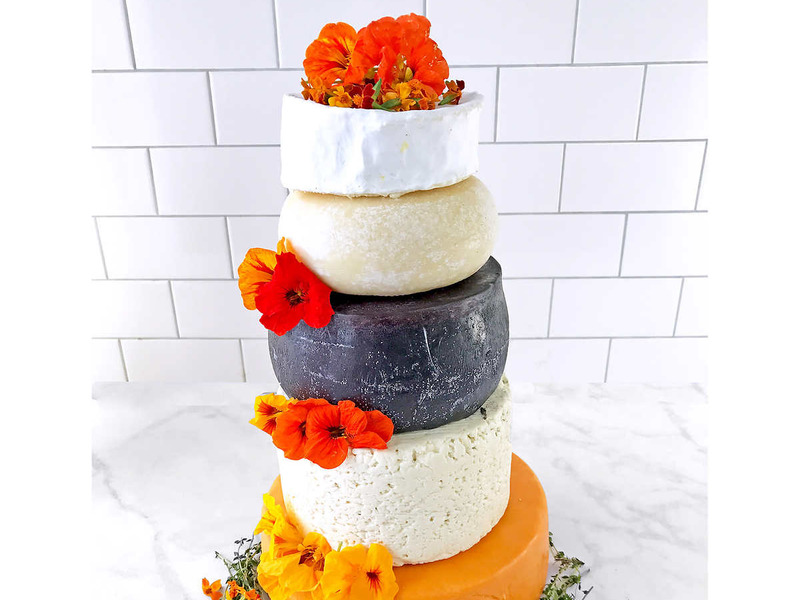 The „cake“ is a stack of five different types of cheese: Red Leicester, Danish Blue, Murcia al Vino, Tuscan Sheep’s Cheese, and Brillat Savarin Triple Cream Brie. „Comprised of gourmet cheeses sourced from around the world, the Cheese Lover Celebration Cake is a striking and delicious alternative to a classic centerpiece, cake, or cheese board,“ reads the description on Costco’s website. Cheese lovers can purchase the „cake“ on Costco’s website. The purchase averages out to spending $18.33 per pound of cheese.